Ronnie Corbett, Rosemary Leach, Henry McGee et al. Created by comedy legends Barry Cryer, Eric Idle and Graham Chapman, No That's Me Over Here sees Ronnie battling the relentless forces of time while struggling to keep his place in a ruthless suburban status race. Bewildered by office politics, rapidly losing the fight to retain his non-fattening centre and belittled at every opportunity by his patronising neighbour, he's the kind of chap who gets dressed up only to be unceremoniously brought down. 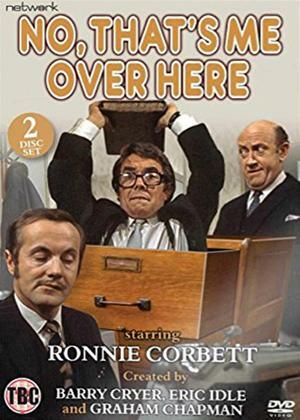 Also starring Rosemary Leach as Ronnie's better half, The Saint's Ivor Dean as his boss Mr Robinson and Benny Hill Show stalwart Henry McGee as his semi-detached arch-enemy and workplace rival Cyril, this set comprises all thirteen hilarious episodes made by London Weekend Television in 1970.